Senior citizens often have extra time and extra money to spend. Is your destination senior-friendly? With the number of senior citizens growing worldwide, marketing to this age demo just makes sense. But be sure you’re ready to handle this crowd – they demand impeccable service. Here’s a look at what seniors are looking for when they plan their vacations. Applicable info on slide 12. China is taking note of the rise of seniors traveling. Are you? If you want to attract seniors, you need to consider improving your motorcoach offerings. Here’s some advice. Trails are one of Vilas County’s the most important tourism assets. Communities throughout the county have worked hard to create one of the top silent sports destinations in the Midwest. 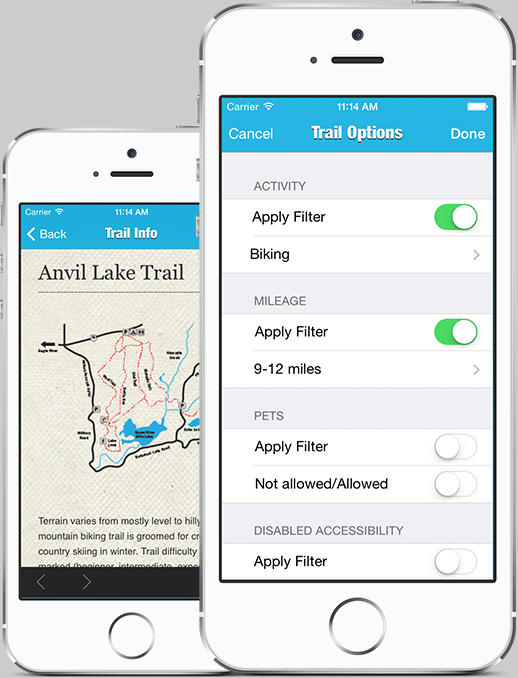 The Vilas County Map It Trails App for iPhone is a highly-practical, easy-to-use app that includes maps for Vilas County’s 58 designated trails, including six canoe trails. Wellness tourism is a niche market that’s blowing up worldwide. If you’re not already reaching out to this luxury segment of the traveling population, let us explain why you should. Who are wellness travelers? What are they looking for? Find out here. Here’s an interesting article about the economic potential of appealing to “wellness travelers.” It includes some pretty mind-blowing stats like the fact that tourists spend 130% more than a regular leisure traveler. India is the world’s fastest-growing wellness travel destination with a projected 22% annual growth. Learn from its example. With the economy still recovering, budget travel is a trend that isn’t going away anytime soon. Budget travelers are looking for alternatives to pricey hotels by going glamping (glamorous camping! ), or renting a whole apartment or house through sites like Airbnb or Vacation Rentals by Owner. No frills (and we mean no frills) air travel is also growing in popularity. Here are a few of the top amenities budget travelers are looking for. Here are some tips for budget travelers from how to save on hotels, transportation, food and more.